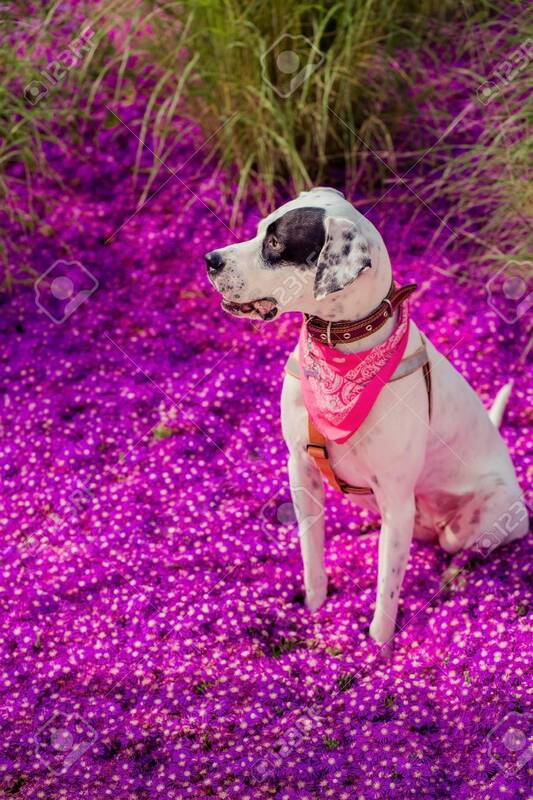 English Pointer Mix Phenotype White Dog In Black Dots With Red Leather Collar With Medallion And Bandanna On Purple Delosperma Flowers. Photos Are Toned And With A Vignette Lizenzfreie Fotos, Bilder Und Stock Fotografie. Image 99900666.